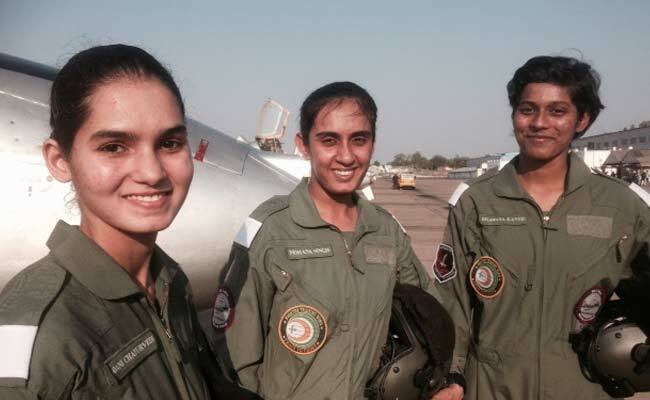 India’s first ladies military pilots – Bhawana Kanth, Avani Chatuvedi and Mohana Singh – were charged in the Indian Air Force today. Each has cleared the main phase of preparing and has around 150 hours of flying. In the wake of getting their wings today as flying officers, they will prepare for six months on the Advanced Jet Fighter – the British-fabricated Hawk – they will be relegated contenders and their squadrons. Air Chief Arup Raha has as of now said that the lady warriors will get no inclination and will be doled out according to necessities of the power as far as their ability is concerned. The three ladies, all in their mid-twenties, have as of now experienced instabilities and perils of flying, when preparing and coarseness turn into the distinction between a fruitful recuperation and a mishap, or even amongst life and passing. The three will start propelled preparing on cutting edge plane coach Hawks. It will take an additional 145 hours on the Hawks for just about a year prior to they would really get into the cockpit of a supersonic contender. Well done ladies!